Over 270,000 people visited a health museum built in the 15th century by Sultan Bayezid II in Turkey's northwestern Edirne province. 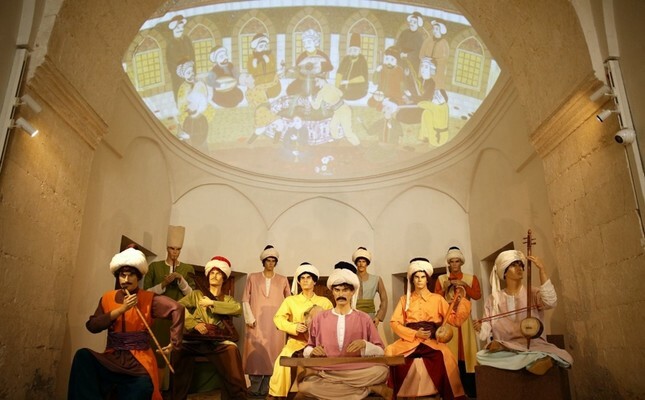 The Complex of Sultan Bayezid II Health Museum, restored in 1997 as part of Trakya University (TU) in northwestern Turkey, attracted 270,669 local and foreign visitors in 2018, the TU said Friday in a written statement. The number of visitors to the museum has increased 8 percent compared to the previous year, the statement said. In the museum, forms of therapy dating back to the 15th century are explained with miniatures and sculptures and visitors get the chance to listen to music used in therapy. Officers wearing Ottoman-era clothes welcome visitors, and posters explain the therapy methods. Rector of the TU, Erhan Tabakoğlu said that the museum is one of the important symbols of Ottoman social and cultural complex and it has become a major attraction in recent years. The number of the visitors have especially increased after the museum was added to the Tentative World Heritage List of the U.N. Educational, Scientific and Cultural Organization (UNESCO). Built in 1488, Beyazıd II Complex included a mosque, a madrasah, an almshouse, a sanatorium and a hospital, which was the most advanced health institution at the time. The compound, which was in ruins, underwent major repairs and was turned into a health complex for people coming from the Balkans and other regions.